Jubilee for Justice – AJP Event! MARCH 31, 2016, TUCSON, ARIZONA! 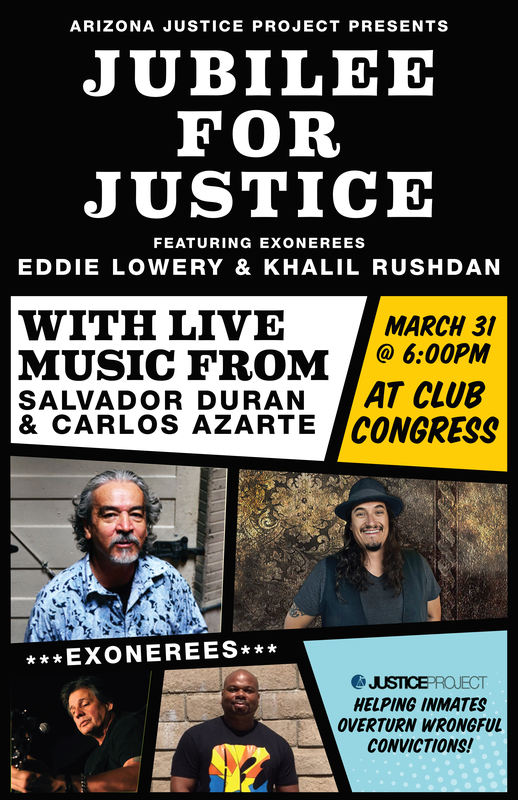 Please join us at Club Congress located at 311 E. Congress Street in Tucson, Arizona on March 31st! Come listen to live music performed by Salvador Duran and Carlos Azarte, and meet exonerees Khalil Rushdan and Eddie Lowery. The doors open at 6:00 p.m. and we expect to keep things rocking and rolling until 9pm. No cover charge, but donations to the project are welcomed!